I assume control of a prisoner at the start of Furi, one that has clearly been abused on a regular basis. I am offered a chance at freedom; the only condition is that I must slay every jailer that stands between my cell and the exit of my prison. And thus explains the entirety of Furi as the rest of the game is walking from one boss to the next. There really isn’t much more to the game outside of boss fights and narrow paths (excluding a larger area at the end of the game) but that isn’t necessarily a bad thing. The boss fights hinge on creative designs and a sensitive combat system and Furi nails both aspects. Each boss looks and fights differently, despite sharing some similar move sets, and the differentiation truly makes each boss stand out. The combat system isn’t too complex; it is based on parrying boss attacks, landing four-hit slash combos and well-timed dashes. The game is not a hack-and-slash and requires a lot more than mashing the X button. Beating bosses require nailing combos and parries at the perfect moments and anything less will result in utter failure, but; succeeding evokes one of the most satisfying experiences in gaming this year. The boss fights – When all the gameplay consists of in a game is extended boss fights then the fights need to be great for a game to be able to expect success. Luckily, Furi more than manages to make the boss fights resounding successes. 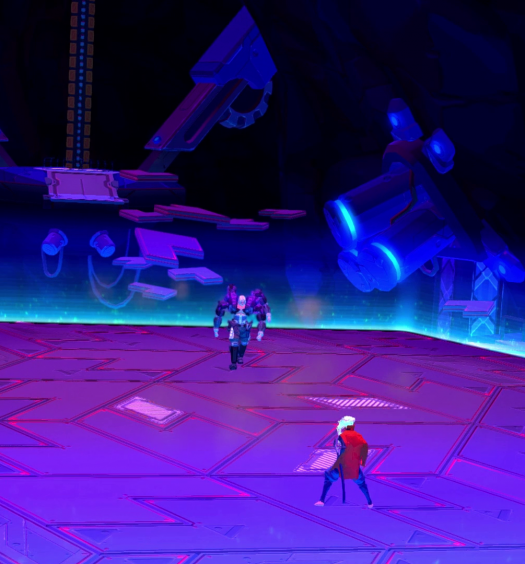 The ten bosses offer a challenge from the very beginning of Furi and they require mastery of the combat system to defeat them as the game progresses. The combat system requires great precision to truly showcase its power but as my familiarity with the system grew into mastery the ascent was immensely satisfying. The Game Bakers always ensure that the bosses are fair, regardless of their seemingly insurmountable difficulty, and a loss of life was almost always due to a mistake that I had made. The Line, The Beat, The Burts and all of the rest are each memorable in their own right and were a treat to battle. The composition – Furi is underscored by a beautiful composition throughout the entirety of the game. The music bolsters the fantastic boss battles and makes each encounter feel like the deadly fight that it is supposed to be. The score also manages to make the walking sections more mesmerizing than tedious, especially when paired with the lovely art style. The work done by Carpenter Brut, Danger and the rest of the crew is absolutely phenomenal. The style – While subtly aided by the musical score the art style displayed throughout Furi is enthralling. The worlds shown while walking to each boss are visually unique and each creates a lasting impression well past the encounter. The gorgeous style is apparent in more than just the world design but also shines through in the character design and helps make each boss, and by extension, the fight, feel distinguished. The art style conjures up a wide variety of atmospheres from colorful childlike daydreams to dark postmodern nightmares and everything in between and it is all certainly something worth seeing. The occasional hapless death – Like I said earlier, nearly all of the times I died was due to my own mistakes and errors, however; the deaths that occurred outside of my control were truly infuriating. These sorts of deaths are usually the result of safe spaces from area-of-effect, AOE, attacks being off of the map because of unfortunate boss and player positioning, as well as impossible AOE attack placement. The rest of the hapless deaths can be attributed to the camera angle making it too tough to tell what was happening in the fight. These deaths don’t define the game but they do make for pesky annoyances. The walking segments – Between every boss fight there are five or so minutes are spent walking forward to the next boss. A press of the A button turns on an auto walk feature and then the controller can be put down until the section is over as the character will continue to walk forward free of hassle. While walking the story is doled out, bosses are further elaborated upon and I was treated to great visuals but that’s about it. It isn’t necessarily that these segments are bad but rather that they could be so much more. Even if all they were was slightly larger but barren rooms to explore freely at a faster movement pace; it would be better than what was in the game. Suffice to say I loved Furi, and it excels at what it sets out to do but it is a very niche experience. Fighting a single boss for over ten minutes can be an endurance test in and of itself but failing enough times and having to repeat some bosses for over an hour can get exhausting. There were multiple times while playing where I needed to take a break from Furi if I had any hope of beating the boss. 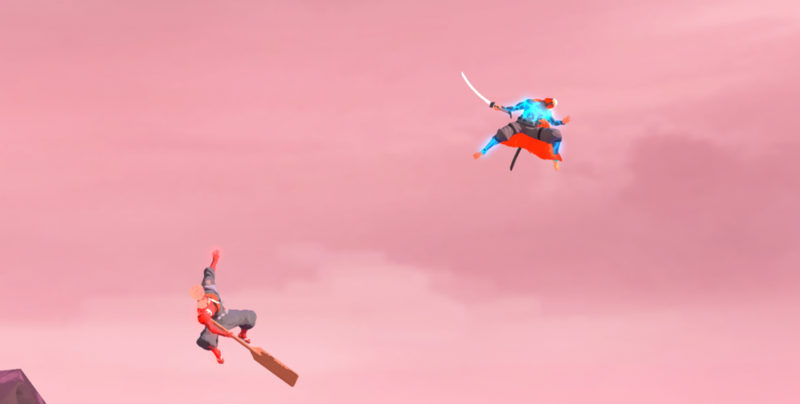 The series of fights is a lot of fun to go through and while the combat is great, Furi still leaves a sense of lost opportunities, especially with the walking segments. They allow a touching story to be depicted, however, it would have been great to do more than put the controller down for five minutes. Despite these needed breaks and missed chances, I still loved the combat system and besting each fight left an amazing feeling of satisfaction. This ultimately shaped Furi into being a game I would recommend to everyone. 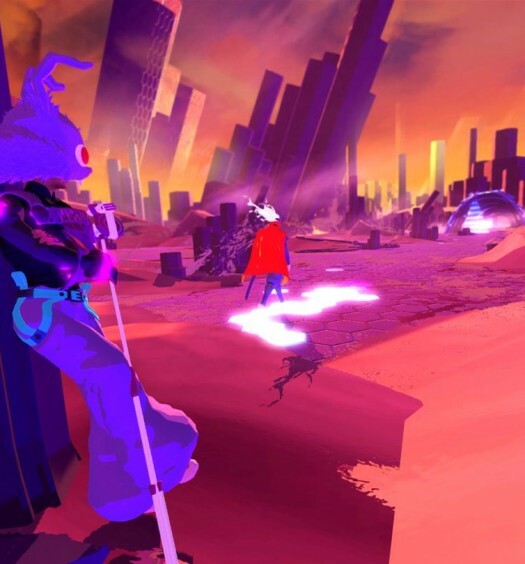 Furi was developed and published by The Game Bakers on Xbox One. It released on December 1, 2016 for $19.99. A copy was provided for review purposes.